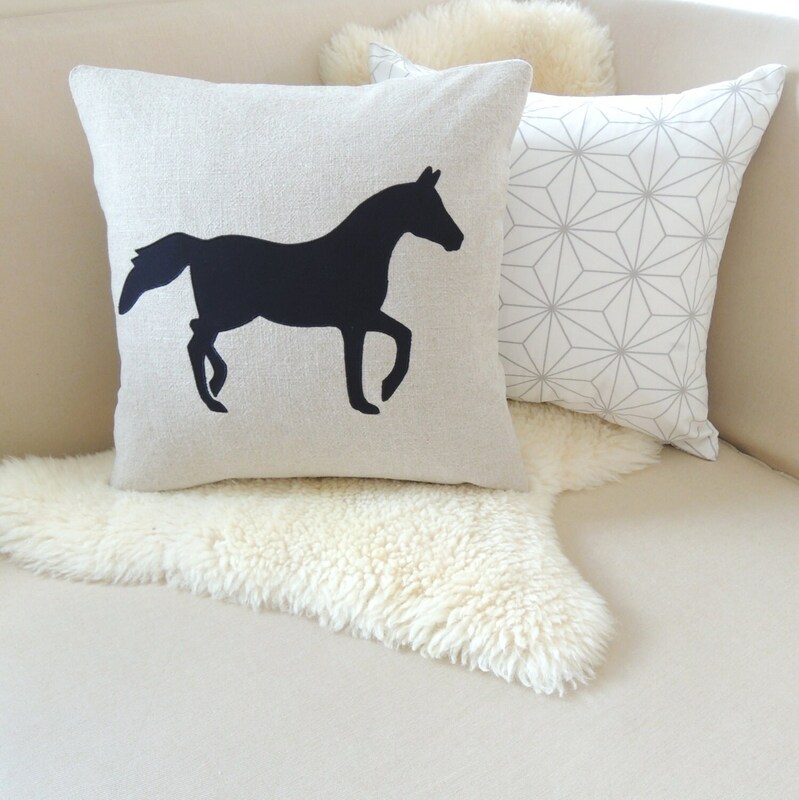 This horse appliqué pillow cover adds a chic equestrian accent to your interior space in rustic oatmeal linen and classic black. 18" or 20" square cushion cover. Rustic Modern....This elegant horse makes a striking statement propped on a sofa, in a chair, on display in an entryway or anywhere else you can imagine. A facing pair looks splendid placed at the ends of a sofa or sitting pretty individually in a pair of chairs. Makes a great gift for horse aficionados! Fabric: The background fabric is European linen with that fabulous rustic luxe texture. Each silhouette is precisely machine finished with a coordinating zigzag stitch for a polished silhouette. Seams are double-stitched and secured with a zigzag stitch for a durable, professional finish. Fully lined. French style envelope closure. Horse Pillow Cover © Vixen Goods. All rights reserved.